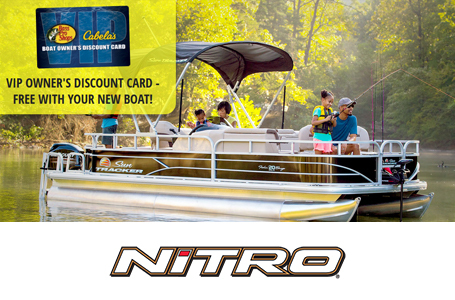 2019 Nitro Z17 with a 115hp Mercury PRO XS four stroke & single axle trailer. Beam: 7 ft. 6 in. Max. person weight: 460 lb. Average dry weight: 1450 lb. Average package weight: 2650 lb. Bridge clearance: 6 ft. 2 in. Package width: 7 ft. 11 in. Towing length: 23 ft. 8 in. Storage length: 20 ft. 9 in. NEW Lowrance® HOOK2 5 Combo (flush mounted). NEW Lowrance® HOOK2 5 Combo (uninstalled). NEW Lowrance® HOOK2 7 Combo (flush mounted). NEW Lowrance® HOOK2 7 Combo (uninstalled). Lowrance® Elite-7 Ti (flush mounted). Lowrance® Elite-7 Ti (RAM® mounted). Humminbird® HELIX™ 7 DI G2 (flush mounted). Humminbird® HELIX™ 7 SI G2 (flush mounted). Humminbird® HELIX™ 7 SI G2 (RAM® mounted). Humminbird® HELIX™ 7 SI G2 (uninstalled).